This the year of great new TV shows, it seems, as 2019 is set to offer up such treats. Well, it is unavoidable reality of TV universe that several fan-favourite series will come to an end, BUT a number of very exciting new shows will premiere, either on TV or via a streaming service. It’s time of the year again to find new fandom. It’s the TV event of 2019, and maybe even the decade. The final season of Game of Thrones is coming, and the recently dropped trailer has confirmed the date for April 14th. There are six episodes in total, with most expected to be between an hour-long and feature-length, which is good because there’s a LOT of plot-threads to tie up. We know practically nothing about the upcoming season, but we are all ready for it. Who will die? Who will win the battle? Who will reign the throne? Game of Thrones – the biggest show on TV – will come to an end. Stranger Things Season 3 will arrive on 4th July, and bring with it even more special effects. It’s been way too long since Eleven and the gang’s last adventure back in 2017, so we’re extremely excited to get back to Hawkins, Indiana and the Upside-Down. The creators and producer of the show has said they want to deliver something bigger and better this time around. We think it’s going to be a fantastic season. It will definitely be worth the wait. First season of Chilling Adventures of Sabrina was one of the best Halloween surprises of 2018, and we’re already looking forward to Season 2. We’re very confident with this dark interpretation of the Archie comic books, which – if you’ve seen it – is a far cry from ’90s sitcom Sabrina the Teenage Witch, and you can understand why. From the reminiscent set dressing to its genuinely spooky storytelling, Chilling Adventures of Sabrina has already left a strong impression. So, rest assured as everybody’s favourite witch will be sticking around for a while, coming this April 5th. Superhero fans are recommended much dosage of high powered bingeing via The Umbrella Academy. Based on the comic book series of the same name by Gerard Way, The Umbrella Academy focuses on a dysfunctional family of super powered individuals, who regroup to investigate the death of their surrogate father. Ellen Page (The White Violin), Emmy Raver-Lampman (The Rumor), Robert Sheehan (The Seance), Aidan Gallagher (Number Five), David Castaneda (The Kraken), and Tom Hopper (Spaceboy) make a great team as they work to ward off an upcoming apocalypse. So, mark your calendar this February 15! This is one of the show (next to GOT) that I’m, in particularly, anticipating! Based on Andrzej Sapkowski’s original novels rather than the video game series, Former Superman actor Henry Cavill will star as the witcher Geralt, a mutated monster hunter, who struggles to find his place in a world where people often prove wicked than beasts. Henry Cavill has been controversially cast as Geralt, but the first images of him do look very in keeping with the game. The series is a spin-off of DC Universe’s first show, Titans, featuring several characters introduced in that show returning to take the spotlight. The Doom Patrol line-up consists of Elasti-Woman, Cyborg, Negative Man, Crazy Jane and Robotman. This is going to be a very weird show, however, it’s also the exact kind of show hard-core comic book fans will love. Either way, watching them in one episode of Titans wanting us for more. 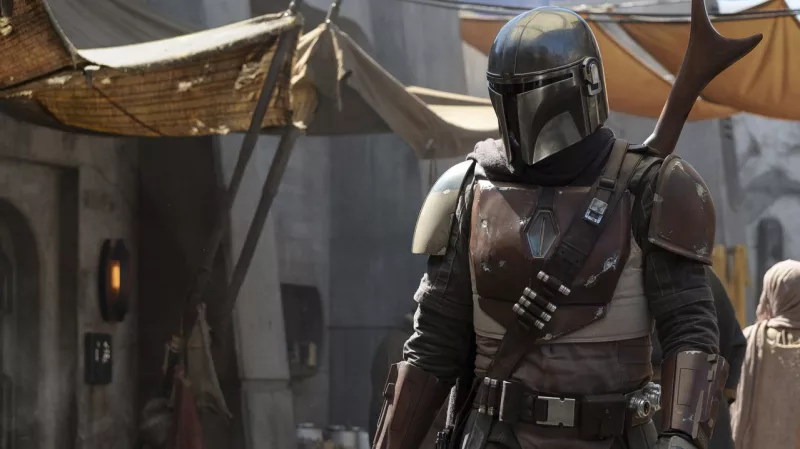 Star Wars: The Mandalorian is the first of Disney’s exclusive shows coming to the studio’s new streaming service, Disney+, launching in 2019. The show is set in the Star Wars Universe and is between Return of the Jedi and The Force Awakens, and it will focus on a lone Mandalorian gunfighter, played by Pedro Pascal. News are that individual episode directors will include Taika Waititi (Thor Ragnarok), Dave Filoni (Star Wars Rebels), and Jurassic World star Bryce Dallas Howard. This is already interesting!